Dairy industry figures have urged processors not to use Arla’s latest drop as an excuse to slash their prices, but pay as much as they can to producers. The extent of the Arla cut, down 2.16ppl taking the manufacturing litre to 27.11ppl, shocked industry analysts. 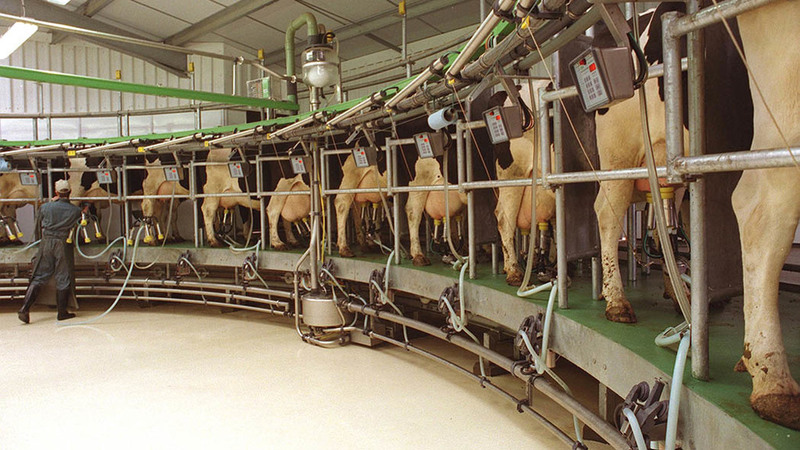 At First Milk, prices dropped 1.25ppl across all its pools. And on Wednesday (February 28), Muller announced a 1.5ppl drop for its Muller Direct farmers from April 1, to 26.5ppl. NFU Scotland milk policy committee chairman George Jamieson highlighted the co-operatives’ pricing had to be based on incomings and outgoings and did not mean others had to follow suit. “Companies will build more trust if they are a bit more transparent and do not just base it on what their competitors are doing,” he said. NFU dairy board chairman Michael Oakes asked whether Arla’s branded strategy was really working, with members told the price reduced volatility as the price went up. But with Arla’s price falling faster than anyone else, dropping 5.19ppl over the past three months, he questioned if it was actually insulating the price. Announcing Muller’s cut, milk supply director Rob Hutchison said investment into branded and private label had mitigated the decline. Arla Foods amba board director Johnnie Russell came under fire from some members who claimed he had not been available for contact and therefore ‘unaccountable’ to members. An Arla spokesman said democracy was at the core of the co-operative structure and members were encouraged to speak with their elected representatives ‘whether at district level, or UK Arla Farmers board level’. It highlighted branded revenue had contributed significantly to its financial performance last year and was the key area of future growth for the global dairy market. Farmers will consider their future in the dairy industry if their milk prices drop below the 25ppl ‘threshold’, warned dairy analyst Ian Potter. With Arla’s cuts taking it from ‘the top to the bottom’ of the price table, Mr Potter said it could not afford to be there long, or it would face a long-term supply issue. And while some commentators still believed prices could drop lower, Mr Potter believed it should not drop to 25ppl or less, which would drive farmers to question if they should carry on. He added the markets were in a better place than he had expected and if someone had offered him 26ppl for April last October he would have ‘grabbed it with both hands’. Introducing mandatory contracts in the dairy industry could be a ‘game changer’, giving farmers and processors more power against retailer demands. NFUS milk policy committee chairman George Jamieson said the voluntary code had meant processors not committed to it could undercut others. And he believed committing to paying a fair price could give processors more sway in negotiations with retailers.